On March 6, 1775, New York Whigs and Tories competed for power at a political meeting. At the October 1780 trial of Joshua Hett Smith for his alleged involvement in Benedict Arnold’s treason, Alexander Hamilton was asked by Smith, “Do you recollect my conduct in New York on the sixth of March, 1775?” Hamilton replied, “Not precisely on that day, but on the preceding evening I do recollect it. You then appeared active to promote the interest of the Whig Party; and I believe at that time you were sincere.” Evidently, Smith mistakenly thought that he had seen Hamilton on March 6, but Hamilton corrected him, telling him that they had seen each other the previous evening. 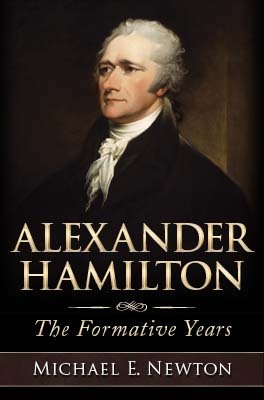 * Thus, within just two weeks of the publication of The Farmer Refuted, Alexander Hamilton had become an active participant in the patriotic cause and a well-known Whig (if he had not been prior to the publication of his essays). * The newspapers of the day reported that the Whigs met on March 4 to discuss how to win the contest, but made no mention of a meeting on March 5. Perhaps Hamilton remembered incorrectly and he had seen Smith on the evening of the fourth, not the fifth. Or perhaps the Whigs met again on the evening of the fifth as Hamilton stated and this meeting went unreported by the newspapers.